Do you recognize the face? 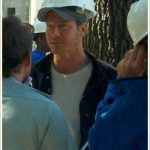 We are sure you do… We are really excited to join Ty Pennington and be a part of the Extreme Makeover show and are proud that we could contribute to delivering much joy with the new home for Simpson family. More here.